Fee-Only Fiduciary Financial Planning— Lake Tahoe Wealth Management, Inc.
After Discovery, analysis that make up a Comprehensive Financial Plan are prepared to assess the your situation, along with various alternatives for consideration. Financial planning services include a series of analysis that are designed to provide an action plan for goal achievement. It may include a review of a your net worth (assets and liabilities), objectives, risk tolerance, risk capacity, and cash flow. Numerous analysis may be provided such as income tax analysis, retirement planning forecast and probability analysis, employee and fringe benefit analysis, education funding, estate planning, risk management review, and "personal portfolio optimization". Our service begins with a formal discovery process designed to help facilitate our understanding the your current financial and subjective information. Lake Tahoe Wealth Management assesses your goals, objectives, time horizon, and other factors to compare where you are today in relation to the attainment of your stated goals. A series of analysis, policies, and recommendations are developed to facilitate the attainment of your desired life vision, based on what is truly important to you. You will receive education about the alternative options so that you are empowered to make informed choices about the future. Once you have chosen your path, we implement the solutions. The financial planning process does not end there. After implementation, we move into monitoring and updating the plan as necessary. We monitor client financial plans in-line with the calendar year. For clients in the monitoring stage, the first quarter is focused on Tax Preparation and Retirement/Education/Goals planning. The next quarter will focus on Risk Management. In the third quarter, we turn to Estate plan review and implementation actions. And in the fourth quarter, we turn our attention to proactive income tax planning for the end of the year. Since many planning issues are cyclical in nature, we decided that instead of fighting the cycle, we should harness and incorporate the cycle into the financial planning process; helping you know what comes next and keeping you on the path to success. Lake Tahoe Wealth Management provides continuous, active management of Client investment portfolios. Based on the information provided by the client and our observations from the discovery process, Lake Tahoe Wealth Management will provide the Client with an Investment Policy Statement (“IPS”) that summarizes the Client’s portfolio targets and objectives. Working within these agreed upon investment policies, Lake Tahoe Wealth Management will implement this target portfolio using specific securities as Lake Tahoe Wealth Management deems appropriate at the time. The portfolio is designed to attempt to create "personal portfolio optimization"....a portfolio built based on our knowledge about capital markets in relation to your lifetime goals in order to improve your probability of success. Adherence to this target portfolio will be monitored on an ongoing and regular basis for re-balancing needs. Our portfolios are built on sound science and empirical evidence, designed for cost efficiency, tax efficiency, comprehensiveness, and, most importantly, they are designed with your goals and objectives in mind and are managed in conjunction with your financial plan so you know where you stand at all times. Lake Tahoe Wealth Management is a wealth management firm, offering integrated Financial Planning Services and Portfolio Management. Lake Tahoe Wealth Management has developed a Client Service model that includes discovery, solution, implementation, and monitoring components. Upon entering into an advisory agreement, Lake Tahoe Wealth Management will begin the process with Client discovery, where we really learn about you, your values, your goals, and your family. Wealth Management is where we bring it all together, providing a solid action plan developed to give you the highest probability of success, and helping you implement it as your Personal CFO. From this process, answers to those perplexing questions in the back of your mind are brought to light, and the piece of mind we all seek becomes attainable. Price: Our Wealth Management services start at 1% of assets under management on an annual basis with a minimum of $1,500 per year. Need for knowledgeable advisor to enhance investment performance in alignment with a formal investment policy statement. We have a low-cost service solution, combined with our investment consulting expertise. Need to reduce costs, and have an advisor with transparency in fees. Full Service Investment Advisor – We have a team of experts in financial planning, investment analysis and retirement plan design and administration. We have established tools, processes and procedures to enable us to support our individual and institutional clients. 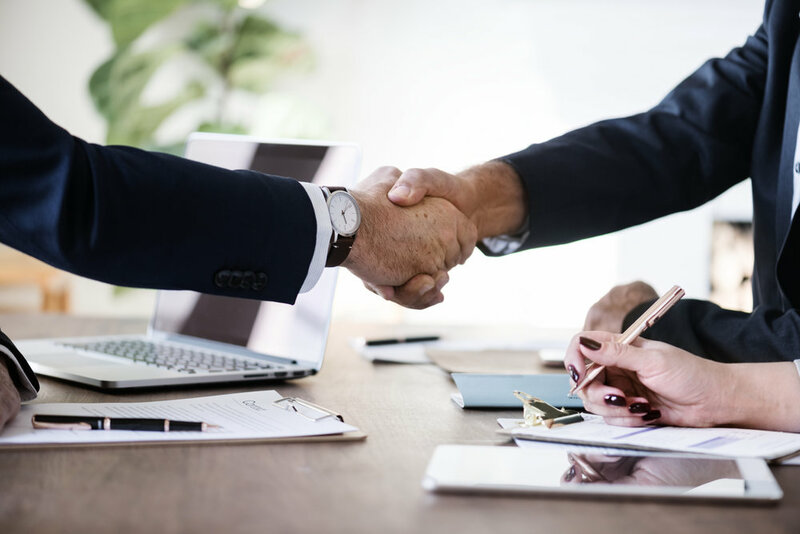 Established Partnerships – As fiduciaries, we understand the importance of seeking expert partners in plan design, administration, record keeping and custodian support, and pay reasonable fees for those services. We have identified Third Party Administrators and actuaries specifically that offer high service quality and competitive fees, but are flexible to work with an existing TPA that you have established relationship with. We use record-keepers with an open architecture platform that allows us access to low cost index and passively managed funds. Plan Design – We utilize our in-house and plan administrators’ expertise to assist plan sponsors in designing a retirement plan that meets the objectives of the organization and plan participants. Our goal is to ensure the plan meets the unique goals of the business. Rather than selling you a plan, we will work with you to design the best plan for your specific situation, and we’ll assist with the selection and evaluation of other service providers, including Third Party Administrators, actuaries, record-keepers and custodians. Investment Management – We deploy individualized behavioral finance based tools to understand individual client’s unique goals and objectives for retirement savings and income. Clients’ portfolio is monitored and rebalanced by our CIO, who ensures that participant investments are in line with their objectives. Our disciplined fiduciary role helps mitigate liability for plan sponsors, by ensuring participant investments are managed based on established Investment Policy Statement. Participant Support – As the plan advisor, we believe the success of plan participants is the ultimate goal of sponsors. We offer plan sponsors and participants investment management education to empower them to make informed decisions about their level of participation and investment selections. We want to support the sponsor in maximizing participation in the plan, and help participants achieve timely retirement goals. Benchmark existing plans in terms of expenses – in accordance with ERISA 408(b)(2) – and investment performance, sharing our transparent fees and performance of model portfolios. Work with sponsors to ensure plan design meets their objectives, as well as addresses participants’ needs. Set up service structure by partnering with plan administrators, record keepers, custodians/trustees, and investment vehicles providers. Offer assistance with plan design through collaboration with plan sponsors and third party administrators, understanding business and participants’ objectives. Utilize established processes and automated tools to set up new plans and to facilitate seamless transition of existing plans as well as automatic participant enrollment. Price: Our Retirement Plan services start at 0.50% of plan assets on an annual basis, set-up fees may be required. Transition of Ownership – Details the methodology for transferring ownership of your business to a well prepared successor. This may include identifying a successor, establishing a timeline for the transition, and defining the optimal method of transfer taking into consideration the Client’s goals, values, financial plan, income taxes, and transfer and estate taxes. Financial Security – Ensures that the Transition Plan or Estate Plan do not interfere with the Client’s Financial Plan by merging and integrating the analyses. 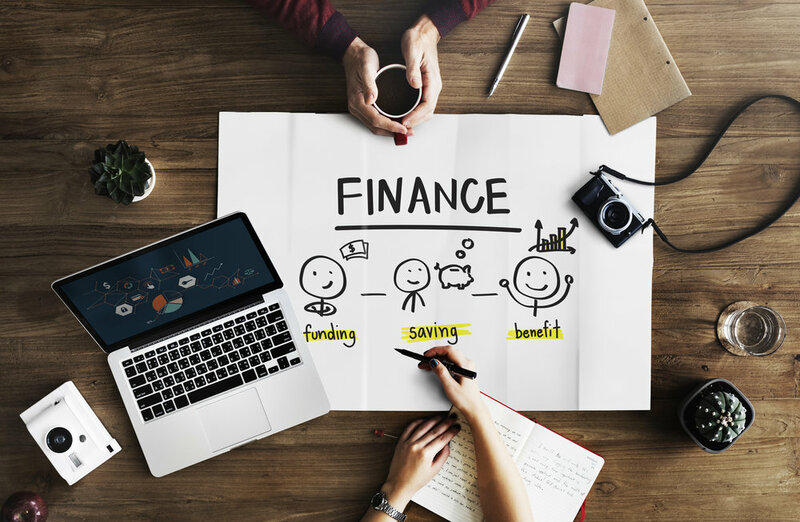 A well-crafted plan provides financial security for each household dependent on the success of the business; and ensures that the business also maintains financial security. Successor Development – A plan to develop the next leader of the business; including people management, team development, project coordination, business design, professional growth, and continuing education. This aspect of the plan is absolutely critical for lasting success. Estate Integration - Commonly used estate planning techniques can compromise the integrity of a business by granting management control to inactive family members. The estate tax, gift tax, and generation skipping transfer tax can take a large bite out of a family’s nest egg while attempting to transfer ownership. Furthermore, common estate planning techniques can destroy a business owner’s financial independence when recommended in isolation of the family’s financial plan. A business owner’s estate plan must protect the financial integrity of the business, plan for equitable estate distributions between active and inactive family members, integrate with the financial plan, and support the family’s goal achievement. Price negotiated: Depending on business size and complexity of the situation. Personalized contracts are created for each case. Due to extensive experience with many firms, planners, and software packages, Lake Tahoe Wealth Management lends our expertise in wealth management to other wealth management and financial planning firms for compensation. This may include consulting regarding Operations, Processes and Procedures, Portfolio Management, and Succession Planning. We may also provide support to Advisors to assist their Clients with numerous analyses, including but not limited to Tax Planning, Estate Planning, Portfolio Analysis, Retirement Planning, Education Planning, Annuity Analysis, Cross-Border Planning, Executive Compensation Planning, and Risk Management. Lake Tahoe Wealth Management’s strength is derived from our exposure to so many top planners and firms over the years. Price Negotiated: Based on complexity and Planner requested for collaboration. Personalized contracts are created for each case. Lake Tahoe Wealth Management will provide fiduciary asset management services to Foundations and Endowments. Lake Tahoe Wealth Management will work with the Directors and Boards of Foundations and Endowments to identify goals that integrate the relationship between endowment policy and the investment policies. Investment policies will be developed to incorporate appropriate asset allocation, including ascertaining risk tolerance, defining a time horizon, identifying appropriate asset classes and re-balancing guidelines, and assisting in defining the duties of all involved parties. Price: Our Foundations & Endowment services start at 1% of assets under management on an annual basis with a minimum of $1,500 per year.